Welcome to your 7-Day Challenge! Be ready for a fun and inspiring week ahead. Each day, for seven days, you will be inspired with fresh ‘snack’ ideas and be invited to check in with your progress, so we can cheer you on. Don’t worry! We know what it’s like to feel so busy that you’re not sure where to start. Everything will be delivered in bite-sized, two-minute videos, so you really can fit it in. Each routine will be totally achievable and super simple (and fun) to make a part of your day – even when you feel you have ‘no time’. This challenge is designed for real people, just like you and me. It’s not designed for uber-fit athletes. It’s about inspiring you to be able to move every day in fresh, fun ways that you’ll want to keep up for life. Everything is tailored to help you start where you are and do what you can. We always include low-impact or lower intensity options and each routine is designed to give you an effective workout in a short space of time. Sounds good, right? 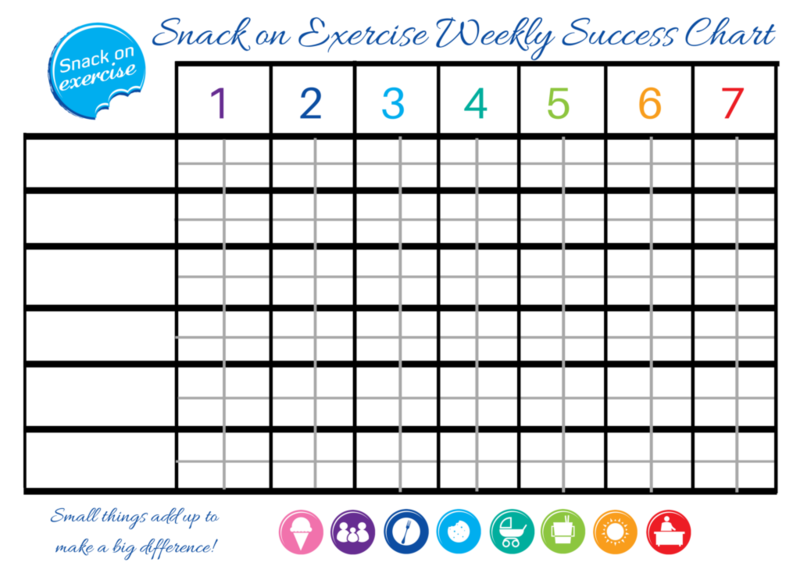 Try them out as you view each one, or if you prefer you can use your own routines or ideas to complete your snacks. Just be sure to fit in at least 4 minutes of movement that gets your heart rate up and/or strengthens your muscles every day. Check in and let us know how you went by leaving a comment below the days content on this website* or if you’re on facebook, in the private facebook group. Be sure to request to join this group now so you can start to connect with and cheer on your team mates, and keep up your motivation. To leave comments right here under the daily content (for example if you are not on facebook but want to check in with a comment) simply log in as a user. Just remember that logging in optional so feel free to skip this step if you prefer. Click the link above to download it and print out this pdf. Then put it up on the fridge so you can tick off your snacks as you go! Note that we’ve included 6 lines so you can either share the journey with friends, colleagues or family members, or you can use it over several weeks just for yourself. You get to choose.